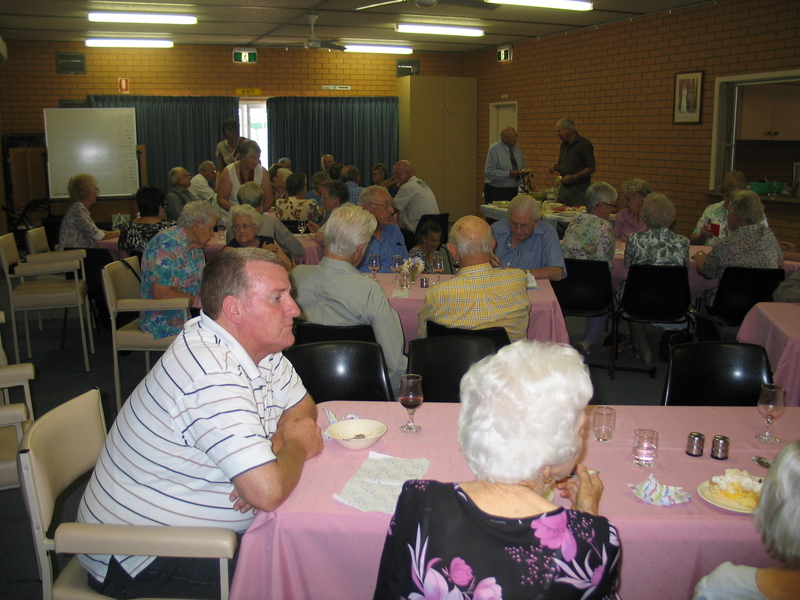 The Parish came together at St George’s to farewell Fr Kim Benton on Sunday 6th January 2013. 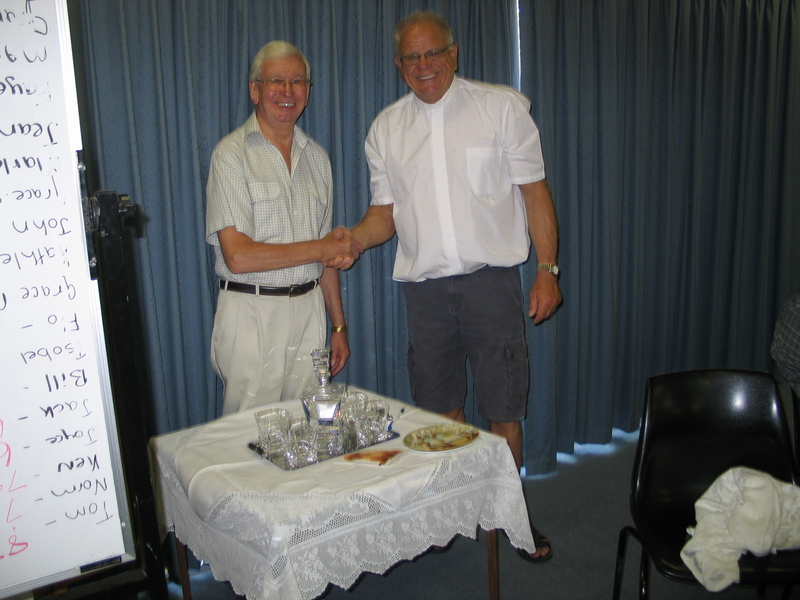 The service was followed by a luncheon and presentation to Fr. Kim. 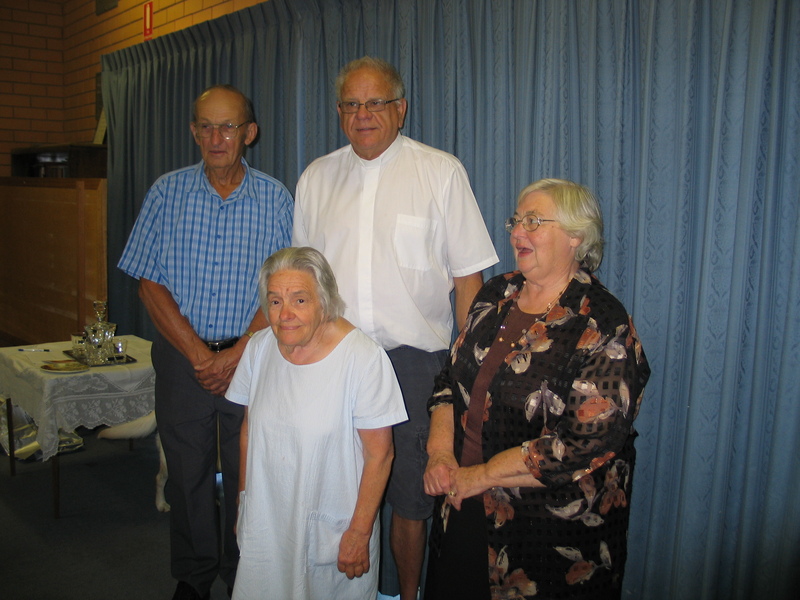 Fr Kim and Holy Trinity Warden’s Keith Schier, Beverley Leaf and Mary Muntz. 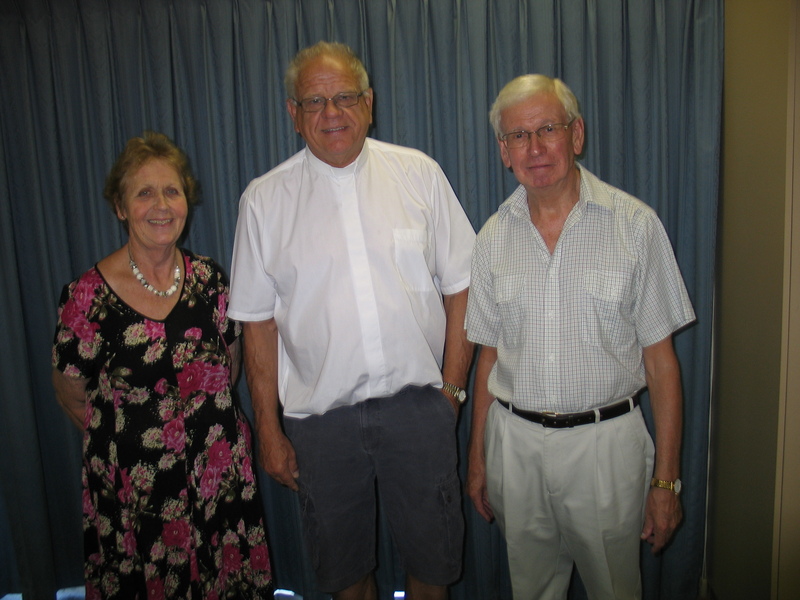 Fr Kim and St George’s Wardens, Wendy Watson (Treasurer) and Lou Hamon (Secretary). 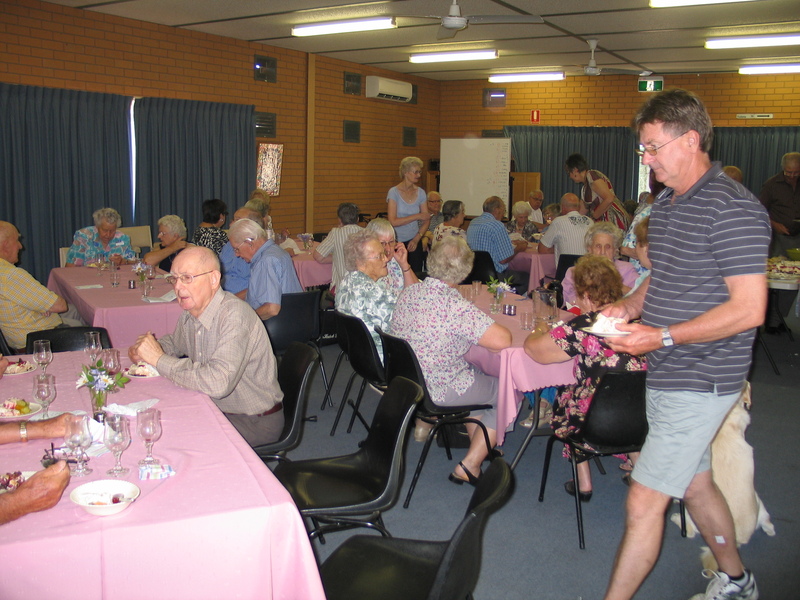 In making the presentation Parish Secretary Lou Hamon said that Fr Kim was a man of boundless energy and vision, accepting the challenge to shake the Parish out of its complacency and challenge it to set goals beyond the parishioners wildest dreams and encouraged all to explore their faith. 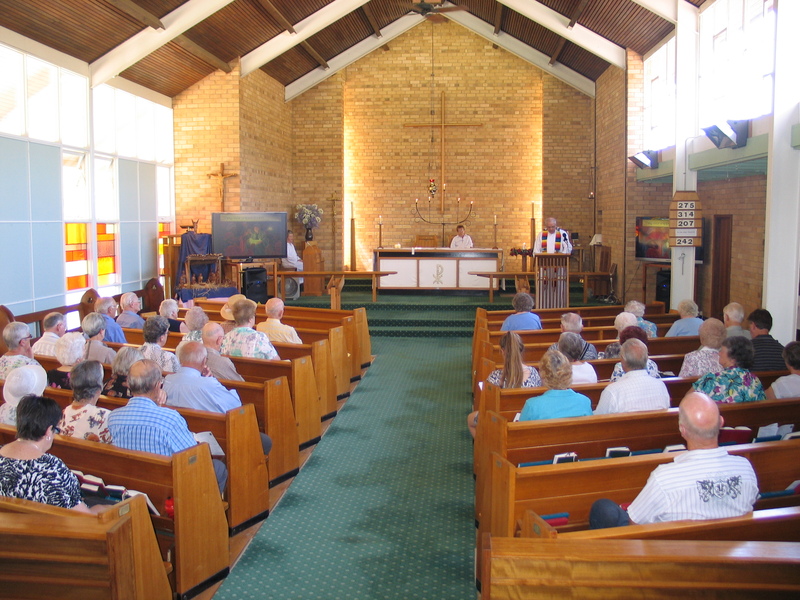 A Strategic Plan for the next 5 years has been put in place, and the faith of parishioners enhanced with well crafted services and sermons and study groups. Fr Kim leaves the Parish in great shape.